Conover is now a STAR certified smog test and repair facility. Come get your smog test done today! For Deals, Discounts, and Promos, follow us on Instagram! If you are having a problem with your vehicle... we can help! View all of our services. Click here to get started Call us now for an appointment! We Have the Tires You Need! 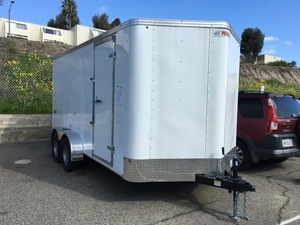 We are a licensed Mirage Trailer Dealer with something to fit every need. We carry a great selection of fantastic quality vehicles. Since 1991, Conover's Automotive has been taking care of Oceanside's cars, trucks, SUVs, and more. We are a full service auto shop, specializing in front and rear end alignments, tire repair, engine repair, diagnostics, programming, maintenance, smog checks, and of course, tires and wheels. 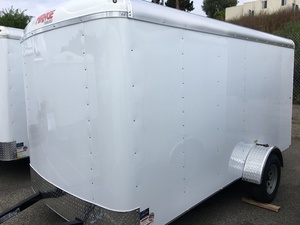 We also recently became a licensed Mirage Trailer Dealer and have built up an inventory of hand-selected pre-owned vehicles that we offer for sale right here at the shop. Dan, Claudia, and Luke Conover have a heart for connecting with customers and building a relationship with every person who walks through the door. They see their job as an opportunity to brighten people's days by simply treating them with love and making sure that their vehicle issues and repairs aren't a source of stress. The whole team at Conover's strives to educate and inform our customers about their vehicles and the work we're performing, so that everyone walking in our doors feels empowered. If you experience any issues with your vehicle, need a new set of tires, or are in the market for a vehicle or trailer, Conover Tires Wheels and Service is your best bet in North County. Give us a call at (760) 439-1631. Our tires come from trusted brands like MICHELIN®, BFGoodrich®, and Uniroyal®. All tires play an important role in ride comfort, fuel economy, and overall handling. Our inventory includes a variety of options designed for your challenges. Explore the online catalog to discover the right tires for your vehicle in less time. We offer full car maintenance and repair to keep your vehicle reliable. Our staff includes technicians certified by the National Institute for Automotive Service Excellence (ASE), and we honor the nationwide, NAPA Peace of Mind Warranty for service you can trust. Visit us for everything from an oil change and tire rotation to brake repair, check engine diagnostics, exhaust system repair, wheel alignments, transmission repair, and everything in-between. We are a licensed California smog test and repair station.